Carpets may be the most beautiful items in your home, but we can all agree they are the toughest to clean. In fact the more beautiful the carpet, the harder the carpet cleaning task. That is until we came up with our own specialized method of cleaning carpets for you at amazing rates. 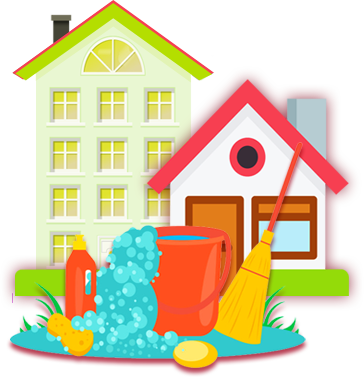 At The Soap Opera we believe that the cost of sprucing up your home should never interfere with its cleanliness. Those pesky dirty carpets that you have ignored in your home or office need the services of professionals. You can start immediately by calling us on 023 8008 1008 or email us at info@thesoapoperaltd.com. It does not matter to us if your carpet or upholstery is in your office or home. Our team of experts has been trained to deliver to you a clean carpet free of dirt and mites. We offer customized packages for all our clients; from simple carpet cleaning to deep carpet cleaning. If your problem is bigger than just cleaning the carpet and probably need to revive and rejuvenate it, we offer a customised package. Our process is simple in such instances. We fist vacuum the carpet to remove solid particles such as hair and debris. We then identify stains on the carpet such as tea, coffee, wine etc. To this we apply our special spotting agents that gently work on the carpet fiber to remove the spots. Finally, we use our hot water extraction machine to thoroughly clean the carpet as well as kill any bacteria and mites still lingering in the carpet. In other words, we leave your carpet as clean as when you first bought it. Carpet cleaning is a very delicate business. You want to clean the carpet but you do not want to destroy the fibers and thread running through the carpet. It is very easy to destroy carpet quality if they aren't delicately handled. We assure you that we do everything in our abilities to protect your carpet from damage while cleaning. Please note that the carpet cleaning process can take up to 30 minutes per room. The carpet would also likely be moist for about 24 hours after we are through with the cleaning. What are the Benefits of Using the Soap Opera for Your Carpet Cleaning? Other than getting a staff member who is well trained, you also have the ability to ask for the same cleaner every time. We know that sometimes people prefer dealing with the same person for security reasons and because they make them feel comfortable. You choose the person you know is reliable and hardworking and we shall offer their services to you. Our carpet cleaning services are offered throughout the region. We will cover the whole Southampton and surrounding areas (as far as Winchester, Eastleigh, Dibden Purlieu, etc.). There are very few areas that our company has not offered our services. That is in part because of the great recommendations that we receive from nearly all our clients. Our pricing is flexible and customized to your needs. 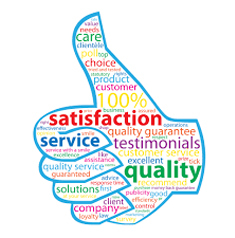 You get a quote from us, we do the work and only after you are satisfied do we invoice you. We are also very flexible on the modes of payment. Payment is by card, cash, cheque or online transfer. Our guarantee is rock solid. If you are not satisfied with the work that our team has done, we shall come back and do it again. We are so confident in our teams ability to deliver we don’t mind coming over again. The fact is, this guarantee has very rarely been used.